This is really too easy and quick to be called much of a recipe – but ooof it is good! Sizzled hot corn dripping with a chilli and garlic butter straight from the oven is one of my favourite things. The chillies have to be spicy and the butter has to be salty. 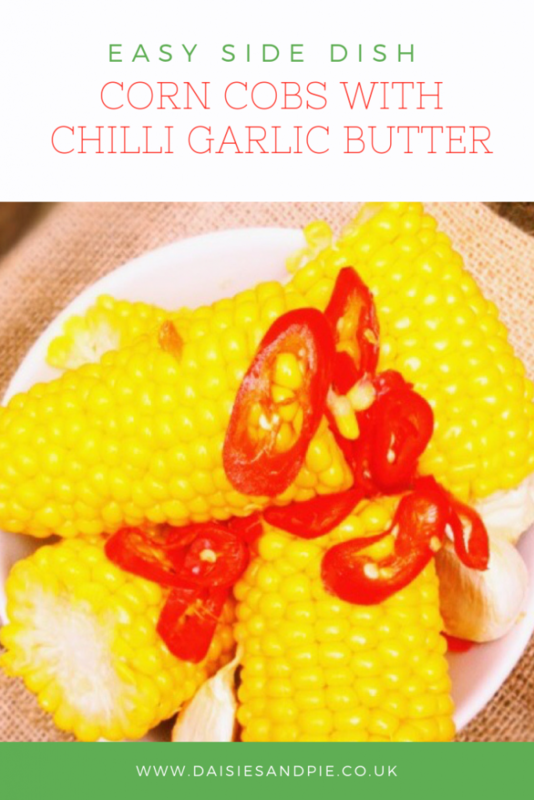 Strip the outer leaves from your corn cobs and smother the kernels with butter using your hands, place on a large sheet of tin foil and then sprinkle with sliced chillies, tuck some unpeeled garlic cloves in amongst them – sprinkle with sea salt and then wrap the foil so that it seals everything inside. Pop it in the oven on 200C and cook for around 30 – 40 minutes. 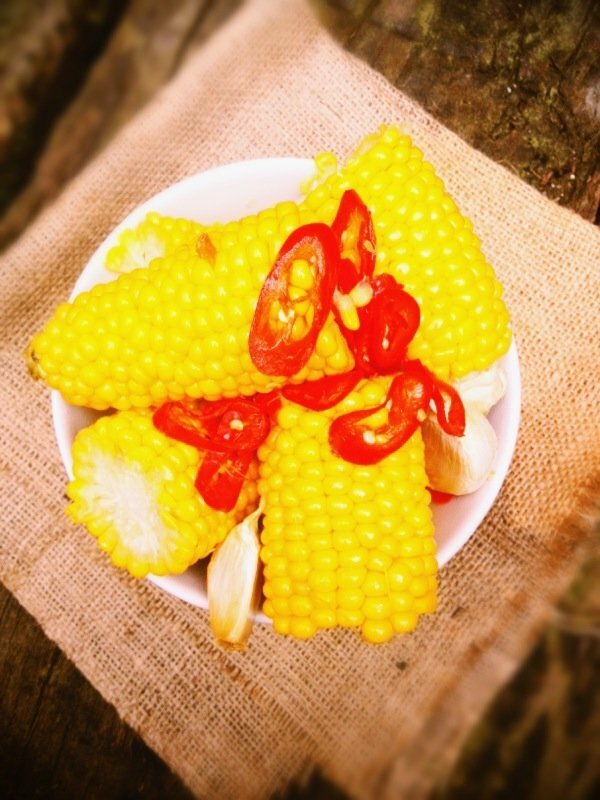 I love this corn with just about anything from sausages with colcannon to a roast chicken salad it’s delicious. Fab easy vegetable side dish. Strip the outer leaves from the corn cobs. Rub the kernels with butter using your hands and place on a large sheet of tin foil. Sprinkle over the sea salt and sliced chillies. Tuck the unpeeled cloves of garlic in amongst the corn cobs. Seal the foil around the corn - place on a baking tray. Bake in the oven fro around 30 - 40 minutes. To test if it is cooked - gently unwrap a little of the foil (be careful of the steam escaping) and insert a sharp knife into a kernel or two. If it goes in easily they're done. Unwrap fully - squeeze the roasted garlic from their skins and rub over the corn cobs. This is delicious served with chicken, sausages or BBQ pork. If you like things sweet you could always add a drizzle of maple syrup before baking. By far the nicest way to eat corn cobs!